Katy is the crochet/knitwear designer and yarn dyer behind KT and the Squid. 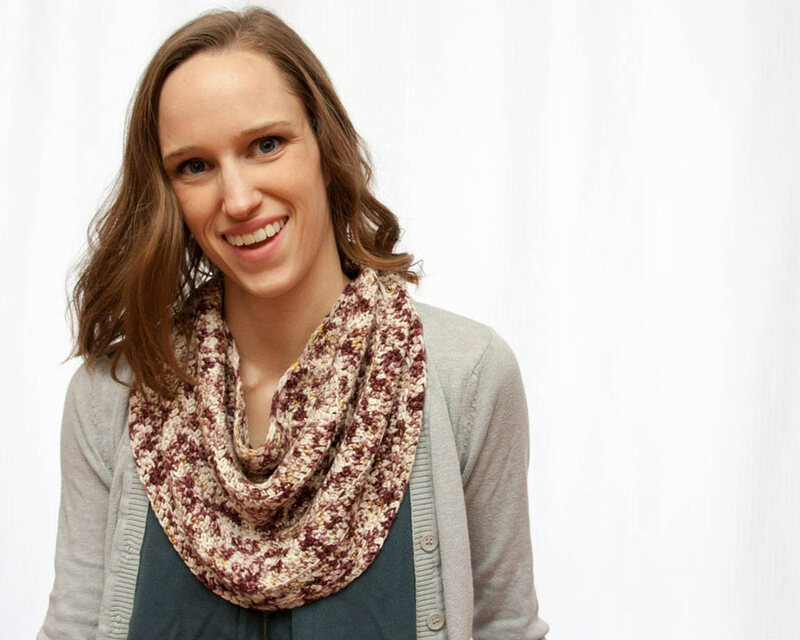 She finds joy in creating designs and yarn for all those yarn addicts out there. When she’s not with her yarn, she enjoys laughing with her husband, 3 kids and dog Washington. Hello! I'm Katy and I'm so excited to be here! Growing up my mom always made things so it was only natural that I became a maker as well. In high school I taught myself to knit and crochet with little booklets from the craft store. I love creating beautiful things with my hands and while it may sound silly yarn brings me joy. In most situations I'm a vary quiet person but if you get me talking about yarn I'll never shut up. In 2011 I started designing. I adore making simple, contemporary garments and accessories for women. I love yarn so much last year I started dyeing my own line of yarn. Which brings me to the design I'm bringing to you today! If you love yarn half as much as I do odds are you've picked up at least one skein of beautiful yarn. We've all done it then tucked it away for just the right project. Well, I hope the Delphi Cowl is that project. 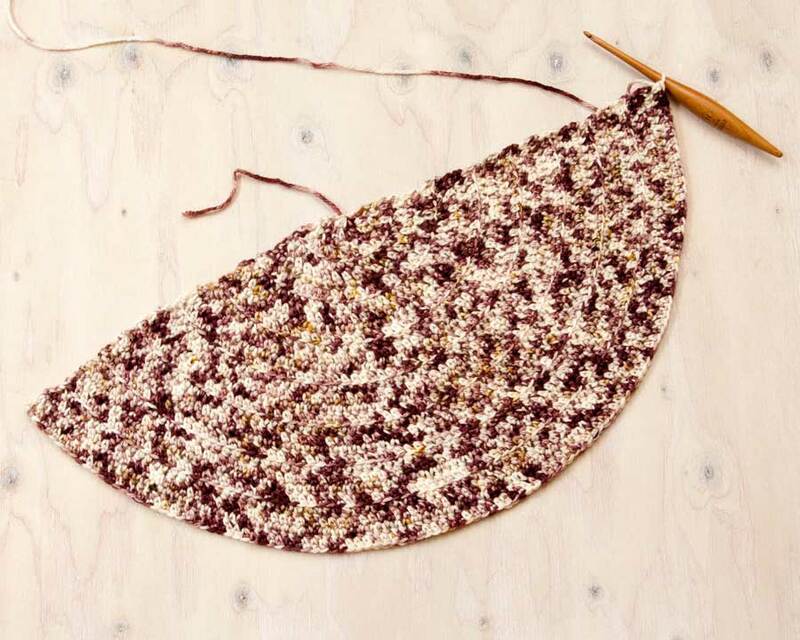 This one size cowl is extremely simple to make and only takes one 100g skein of DK weight yarn. I used my Everyday DK Superwash yarn dyed in my Biscuit Sprinkles colorway. 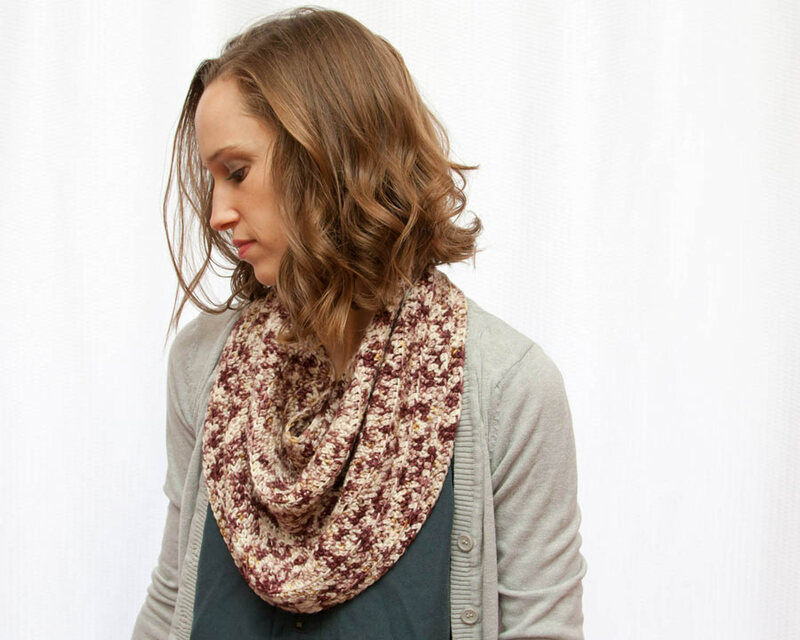 The best part is this cowl really shows off that yarn you've been holding on to. You can find all my DK yarn here. 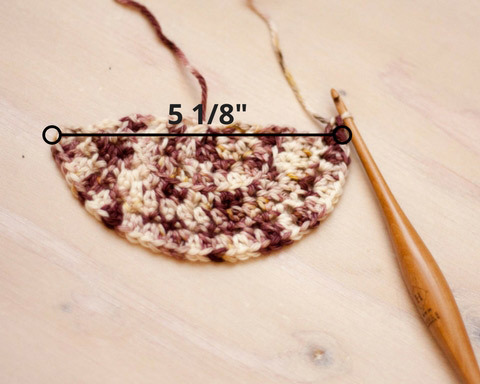 You may substitute yarn for any dk weight yarn but be sure to check your gauge. This cowl is worked in one piece from the top down in 2 sections. The first section will be worked flat to create a half circle. The second section will be worked in joined rounds to create the bottom of the cowl. 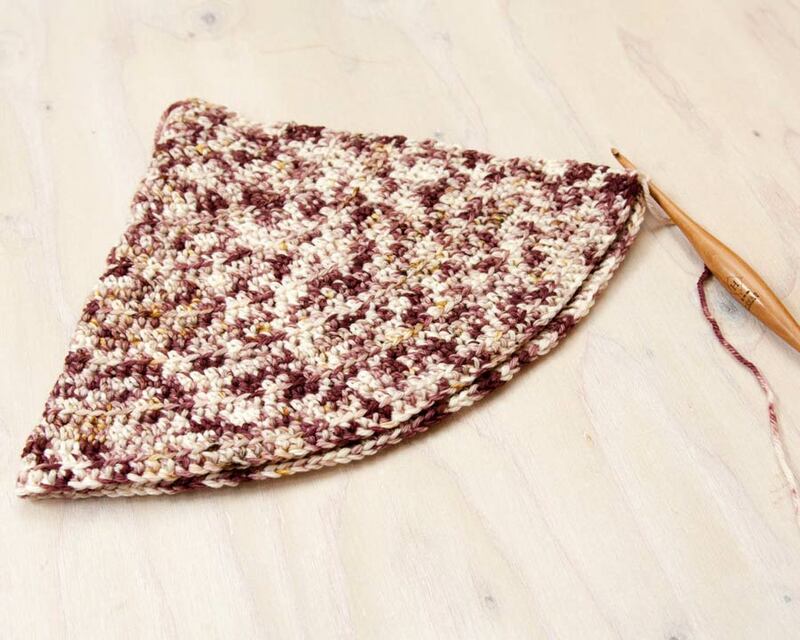 The cowl should measure approximately 5 ⅛ “ after row 8 measuring across the top of the cowl. 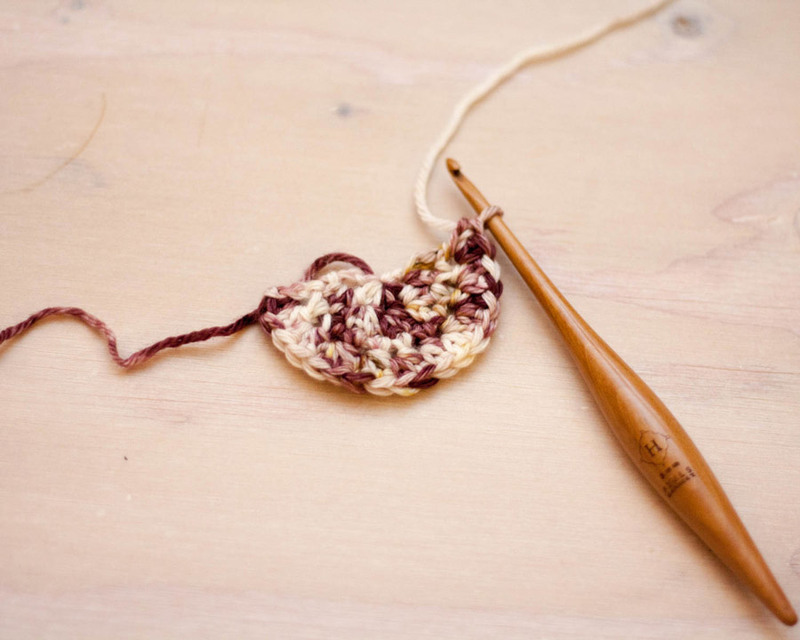 Extended Single Crochet (esc): Insert hook into the stitch indicated, pull up a loop, yarn over pull through 1 loop, yarn over, pull through 2 remaining loops. The cowl should measure approx. 5 1/8th inches. You will now start working in joined rounds. Thanks so much for having me! It was an absolute joy to create this cowl to share with you all. If you make a Delphi Cowl be sure to share it and tag me @ktandthesquid and @the.hook.nook on social media. I'd love to see them!